For me, Summer stone fruits are officially in season when there are multitudes of apricots sitting in the kitchen, stockpiled my mum to make the year’s apricot jam. I decided to do something a little bit different and less sugar filled and make a (healthier) lightly spiced pumpkin and apricot cake instead. Preheat oven to 180C. Line a cake pan with baking paper (I used a 20cm round tin for this recipe) and oil spray. Take your pumpkin and steam or microwave it until tender. Allow to cool. Place almond in the bowl of a food processor or blender and blend until you have an almond meal- nothing too chunky. Alternatively you can use ¾ cups of store bought almond meal instead. Place the almond meal in a large bowl and stir in the flour, cinnamon, ginger and baking powder. Set aside. In another bowl, mash the pumpkin until smooth. Add in the oil, eggs, vanilla and sugar and mix well until combined. Add the pumpkin mix to the flour mix and stir until smooth. Pour batter into you prepared cake tin and smooth over. De-stone the apricots and slice thinly. 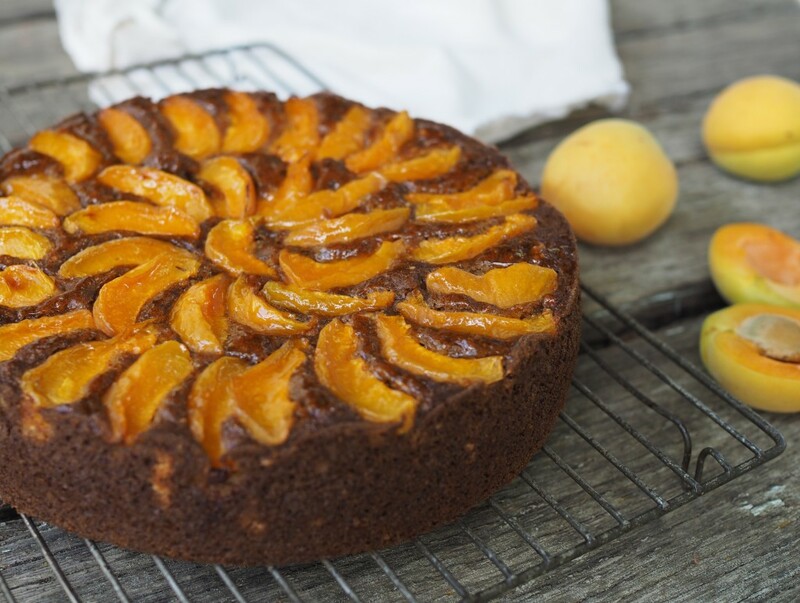 Arrange the apricot slices on top of cake as desired until cake is covered but you can still see some batter underneath. Bake in an oven for 30-45 minutes (depending on oven) or until the middle is set and a skewer inserted into the middle comes out clean. Allow to cool in tin or eat warm.